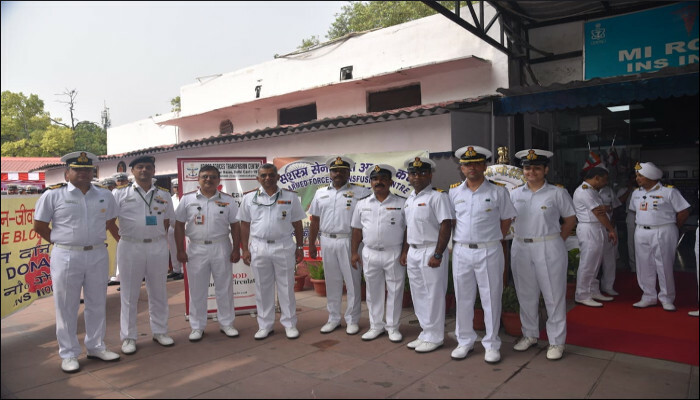 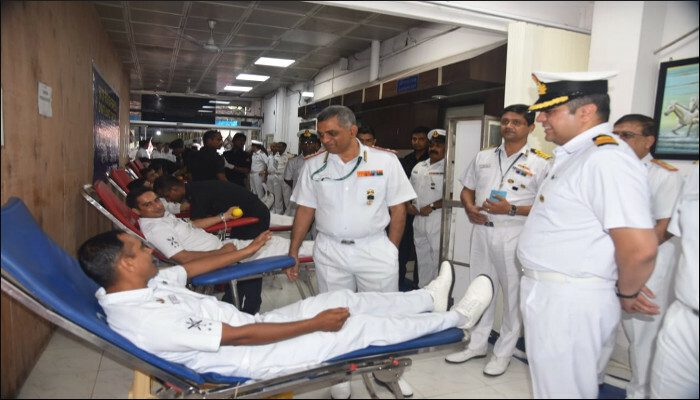 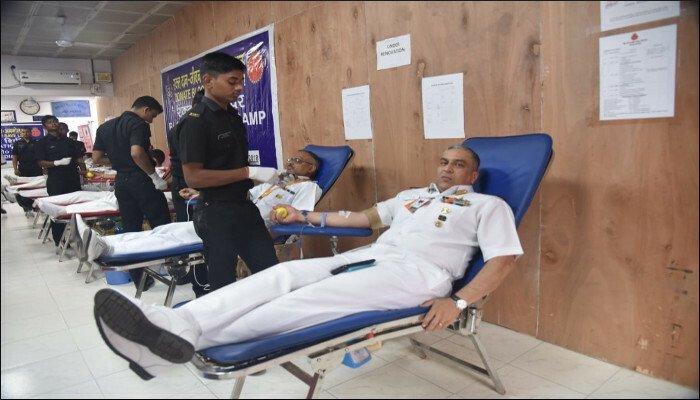 As part of the 77th Anniversary Celebrations of INS India a Blood Donation Camp themed ‘Donate Blood, Save Lives’ was organised on 12 July 2018. 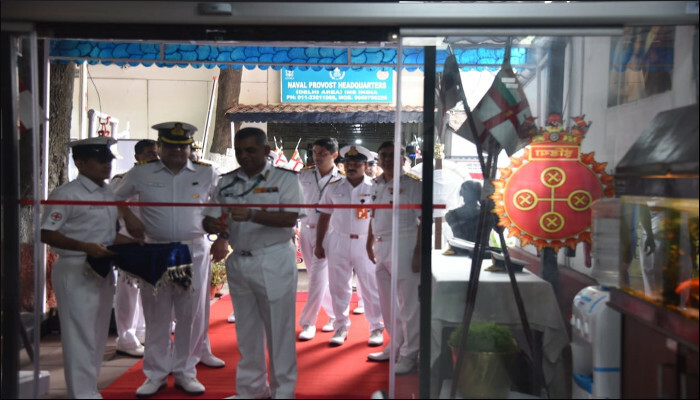 The Camp inaugurated by Director General Medical Services (Navy), saw enthusiastic participation from serving personnel, civilians and families. 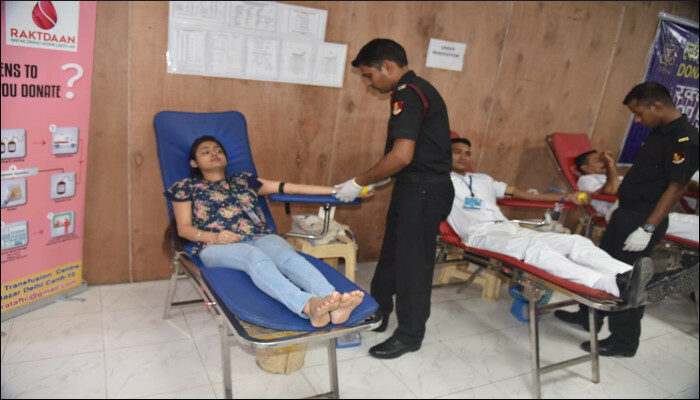 A total of 170 volunteers donated blood for a noble cause. 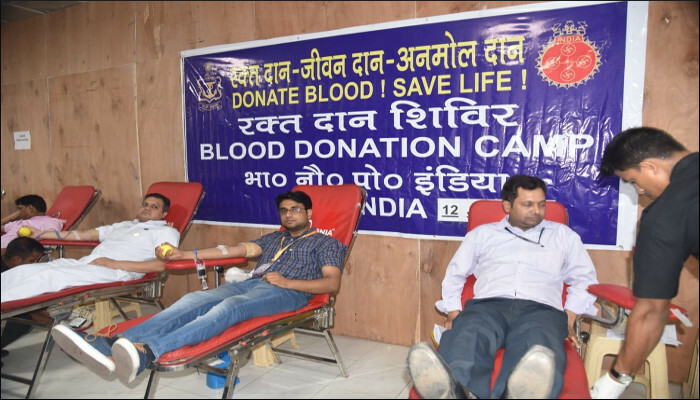 The blood units collected were handed over to AFTC, Delhi Cantt.